Instagram marketing can be incredibly rewarding for your business, but only if it’s done right. While having a large follower base is a crucial component of a successful Instagram marketing campaign, there’s more to it that you need to know about. What matters more than your follower count is the quality of your followers and how they engage with your account. 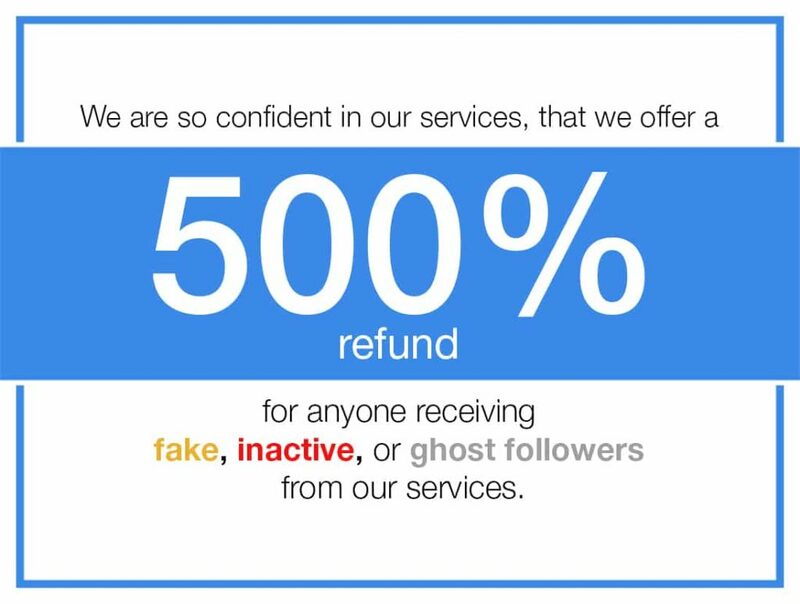 Most services sell fake Instagram followers (that are just bot accounts), which not only hurt your account’s engagement big time, but can also get your account banned. Why Buying Fake IG Followers is Terrible for Your Account’s Growth? First things first, when you buy fake followers, you buy bot accounts that would never engage with any of your posts in any way. This means that you may have tens of thousands of these followers, but there will be absolutely no engagement from them. This would negatively affect your account’s growth, as Instagram devalues accounts with poor engagement rates. Further, when your potential customers or sponsors notice the abnormal engagement rate, they wouldn’t trust you as a brand and it would affect your brand credibility. Similarly, you would also run the risk of getting your account banned, as buying fake followers is Instagram’s policies. So how to go about growing your account the right way? Yes, you guessed it! Buying REAL Instagram followers. Why Get Plus Followers is Your Best Bet for Buying Real IG Followers? Let’s face it. While having a lot of real, targeted followers can go a long way in helping you build a brand and increase your sales, it’s an incredibly challenging, time-consuming task. This is precisely where we come in. We have years of experience with Instagram marketing and have helped many customers across many different niches gain real, targeted followers that allowed them to grow their business and build a brand on Instagram. Our expertise and years of experience helps us identify the right target audience for you, no matter your niche or location. We then engage with your target audience in a way that turns them into your followers and interact with your content. Our laser targeted focus is something that sets us apart from other services that sell real followers. We have customers that are into niches as specific as French bull dogs, and we have still been able to help them gain followers that are actually interested in them, which then convert into their customers as well. Our knowledge of Instagram’s algorithm ensures that your account would always be in safe hands. We don’t violate any of Instagram’s policies, while still helping you grow as quickly as you possibly could on the world’s most active social platform.